Custom Woodworking Contractors | Millwork Milwaukee | Lange Bros.
We pride ourselves on our capability, capacity, and flexibility to create and deliver custom architectural woodwork. 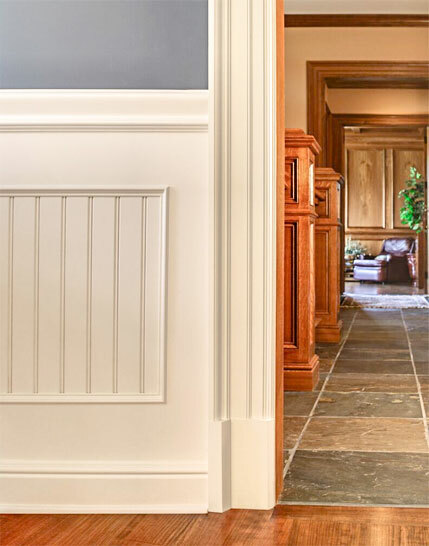 From stile and rail doors, to expansive wall paneling, and custom mouldings, Lange Bros. produces products from all sections of the AWI guide, and can fulfill all your custom woodworking needs. Lange Bros. Woodwork Co. delivers the highest-quality design, build, and installation service to your custom woodwork project. We partner with architects and contractors to ensure the entire project team is working from the same plan to create and problem solve – ensuring your vision in translated into an inspirational interior. No design or idea is too grand, too complex, or too large. We see architectural woodwork as an integral component to the overall vision of your interior design. Lange Bros. produces custom architectural millwork, cabinetry and furniture, wall paneling, and ornamental pieces. Yes, happy to help. When it comes to commercial woodworking, let us be your guide. Whether you need assistance calculating your project budget, planning design details, or have questions about wood species, we are here. At Lange Bros., we have thousands of templated profiles to help create an inspirational interior design. If you have a different vision – we’ll create a unique design just for you. We can help preserve your millwork to keep your custom interior looking its best.